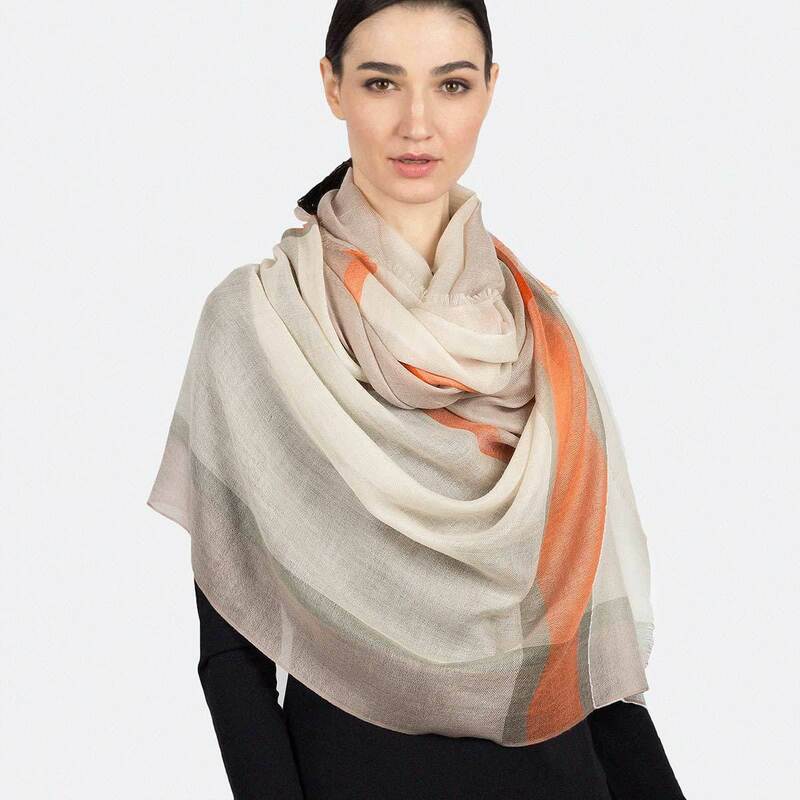 Cashmere scarves are an extremely attractive wardrobe accessory to possess as they offer extremely softness, warmth and add the extra spark to your outfit. Having a good collection is a great idea as it can help you experiment with your outfits in different ways. However, finding the best cashmere scarf is not an easy task as the variety can be pretty overwhelming. Making a 100% cashmere scarf match with your outfit is tricky and a lot of people don’t try it out as it requires confidence. But it is high time that you embrace the scarf trend boldly and try them out with various outfits with full confidence. Here, we have summed some easy tips which will help you choose the best cashmere scarf so you can highlight your wardrobe and add the extra spur to your outfits too. The biggest problem which girls face during shopping for the best cashmere scarf is that they keep looking for the one that would match several of their outfits. Sorry to pop your bubble but girls, your cashmere scarf does not have to be matching at all. Mixing and matching patterns and colors is a great idea and we have been following it blindly since years but sometimes, it is good to stand out and experiment with your outlook a bit. The old fashioned rules that made sure that everything matched in an outfit, no longer apply. So ditch the matching and be experimental. Bright’s colors are not everybody’s pick but that doesn’t matter a lot. Bright scarves like the red cashmere scarves are so pretty that everyone should give them a try. But if you are not a bright scarf person, the black cashmere scarf would always be a good alternative. Try this Ovcio black cashmere scarf that is really classic and luxurious. So make sure to play around a little with your attire and you will definitely get your hands on some of the best cashmere scarves. The most important thing to pay attention while buying a 100% cashmere scarf is, to know what really flatters you. Don’t worry about the patterns and matching it with outfits; just know what colors suit you best and complement your hair and skin color. Knowing your colors is the best key to finding the most wonderful cashmere scarves which will suit you effortlessly. There are different types of cashmere scarves and you must know the difference between the qualities of each. It is very important that you buy a good quality cashmere scarf as it is long lasting. Also, cashmere is a little expensive than other materials but to invest in a 100% cashmere scarf with proper care will last for a solid 20 years. There are a lot of places where you can get an amazing cashmere scarf from. Personally I’ve tried almost all the branded cashmere scarves including Acne Studio’s, Ovcio’s, Burberry’s and Johnsons as well. If you have a tight budget but still aim to have a top-notch 100% cashmere scarf, check out the cashmere scarf reviews from Ovcio and it will help you finding your favorite style. The quality of 100% cashmere scarf is incredible and you won’t regret investing a dime in one. Also, they are accessible in some of the best colors and also have minimal and bold designs both. So no matter which style is yours; you are certainly going to find something that suits you! Just as important as choosing a top-notch cashmere scarf, you would like to learn how to tie a scarf with this two minutes’ video.